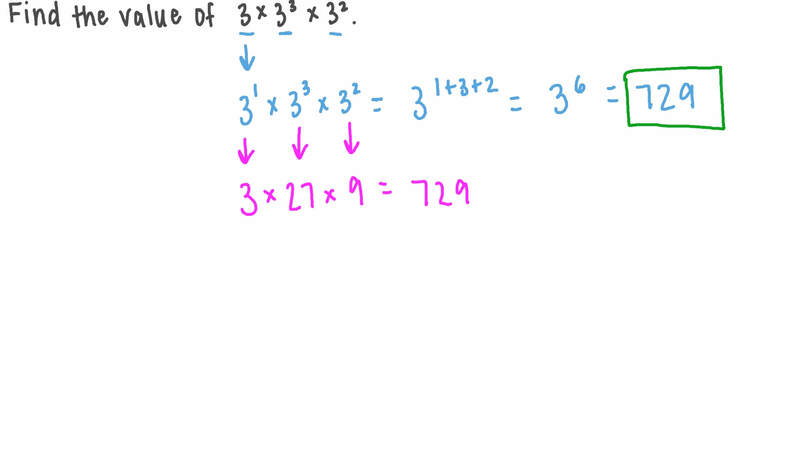 In this lesson, we will learn how to multiply monomials involving single and multiple variables. Find the value of 3 × 3 × 3 3 2 . Calculate 4 × 4  . Find an expression for the volume of the cuboid shown. Simplify √ 2 ×  √ 2  ×  √ 2  2 3 . What is the value of  √ 1 0  ×  − √ 6  4 − 4 ? Simplify  2 √ 5  ×  √ 2   √ 5  − 2 − 8 − 2 . Simplify 5 5 √ 9 × √ 6 . Simplify 3 𝑥 × 4 𝑦 . ÷  − 5 𝑥 𝑦  = 1 5 𝑥 𝑦 3 3 5 . Simplify the expression 6 ⋅ ( 𝑥 ⋅ 8 ) .